Use the form below to contact accommodation BCN HA 3P SOMBRERERS directly. 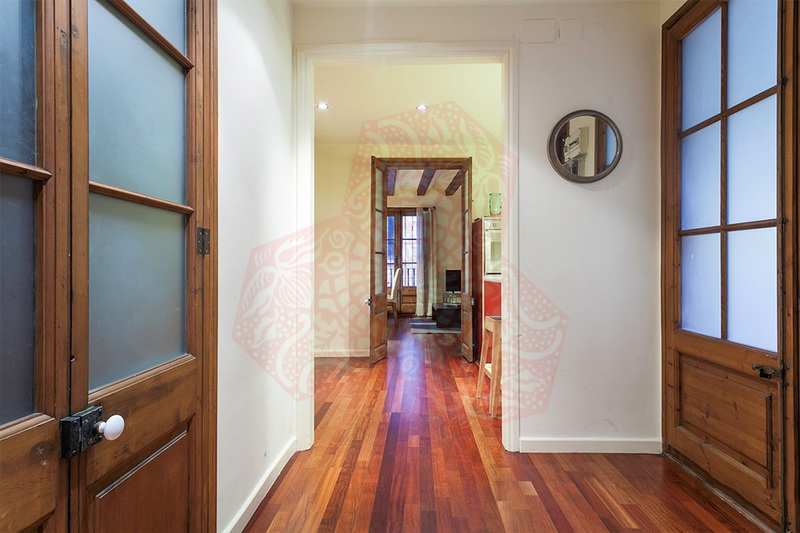 BCN HA 3P SOMBRERERS is Located in the heart of the gothic district of El Borne, this apartment offers guests all they need for a realistic Barcelona experience. 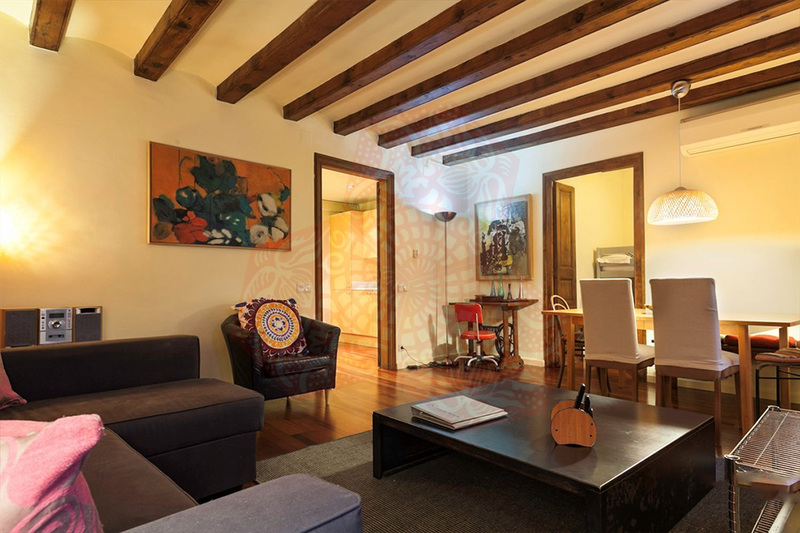 It is situated at 40 steps from one of the most famous examples of Gothic architecture in Barcelona: the Santa Maria del Mar church, which overshadows the neighbourhood. Tastefully decorated, comfortable with balcony views of the busy walkways below this apartment will make you visit special. 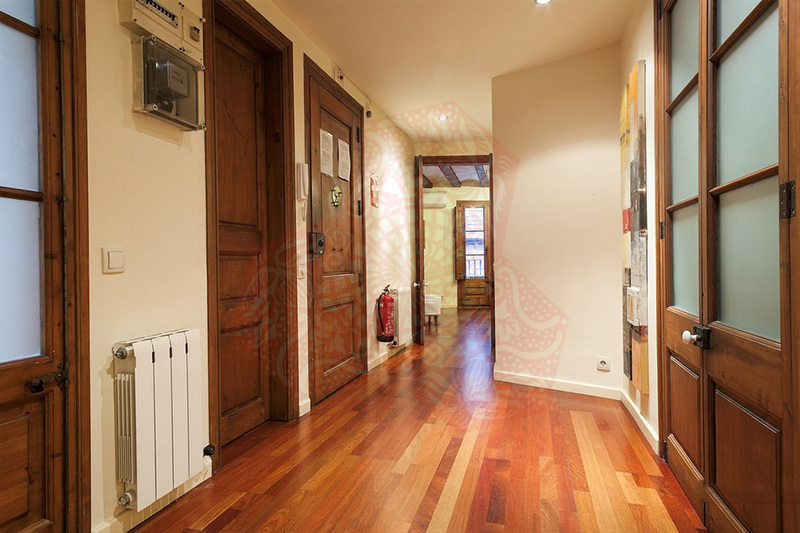 The Manel apartment is situated literally steps away from one of Barcelona’s most distingushed Gothic churches, the Santa Maria del Mar, in the center of El Borne or Born. The Born district is an intricate maze of narrow, medieval streets where you will find lots of trendy boutiques and great bars, cafés and restaurants. 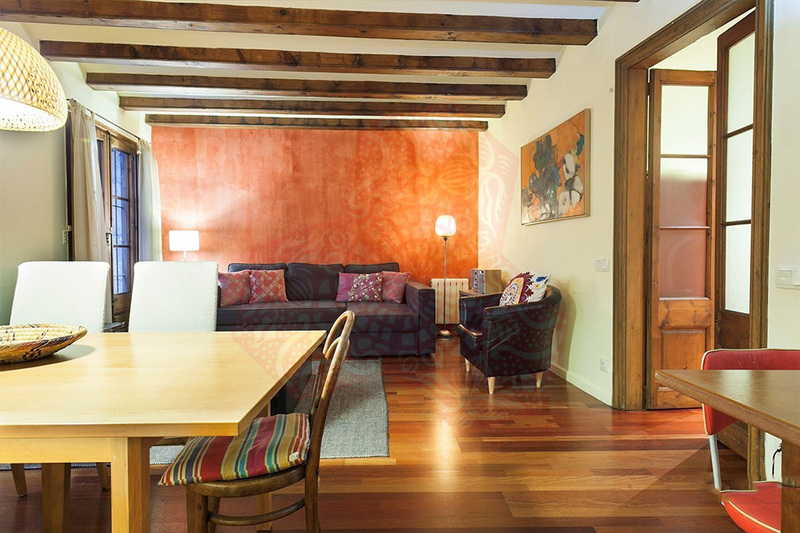 Another option for the visitor staying at this great Barcelona apartment is to visit the Gothic quarter situated right in the heart of the old town and about a ten minutes’ walk from the apartment. 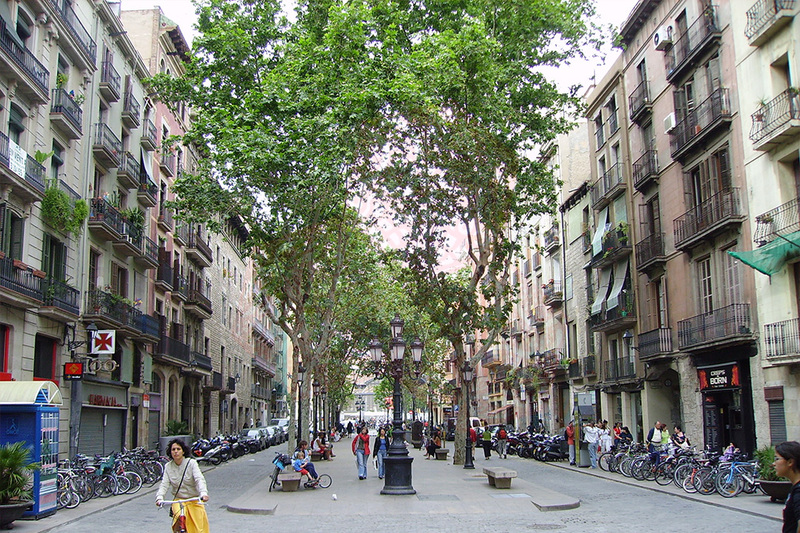 This is the area that fell within the medieval walls and, until 150 years ago, made up the entire city of Barcelona. The area is a body of interconnecting narrow, cobble stoned streets where you can potter around for hours and explore the shops and restaurants. 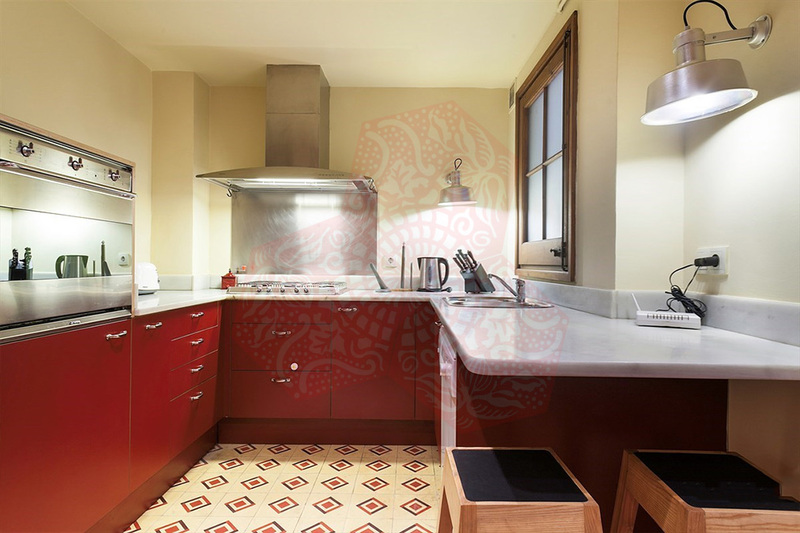 The Manel apartment has been decorated to retain the original architectural details combining modern appliances with elegant antiques in a building that dates back many centuries. 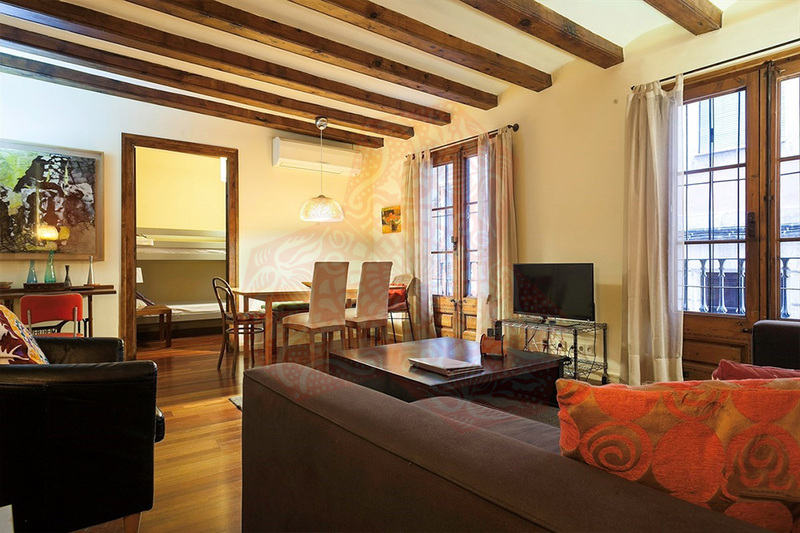 The original mouldings, exposed wooden beams, but especially the typical shuttered windows give guests the true Barcelona feeling. This first floor apartment is perfect for accommodating a family or group of friends, with two bedrooms and a pullout sofabed. 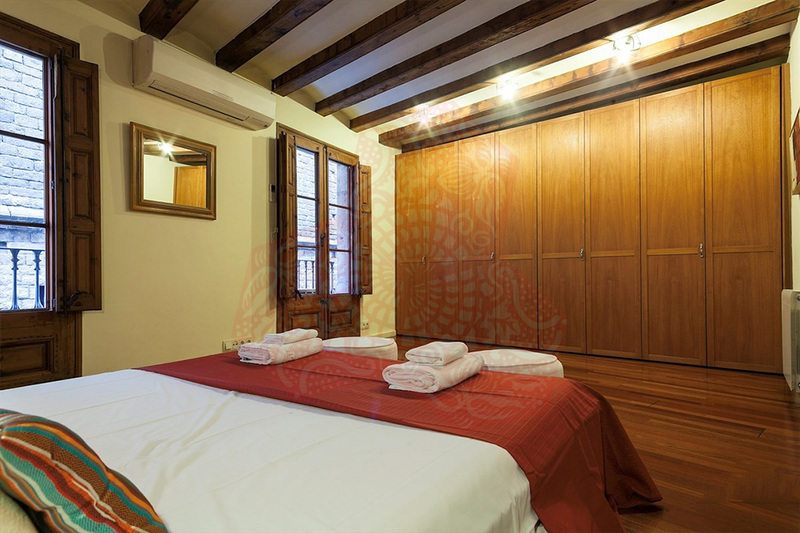 The Manel apartment is situated on the corner of the building and as such it is surrounded by large wooden shuttered windows. The living room and dining room is accommodated in one large room with a pullout sofabed. The master bedroom has a large double bed with plenty of closet space while the second bedroom houses bunk beds. 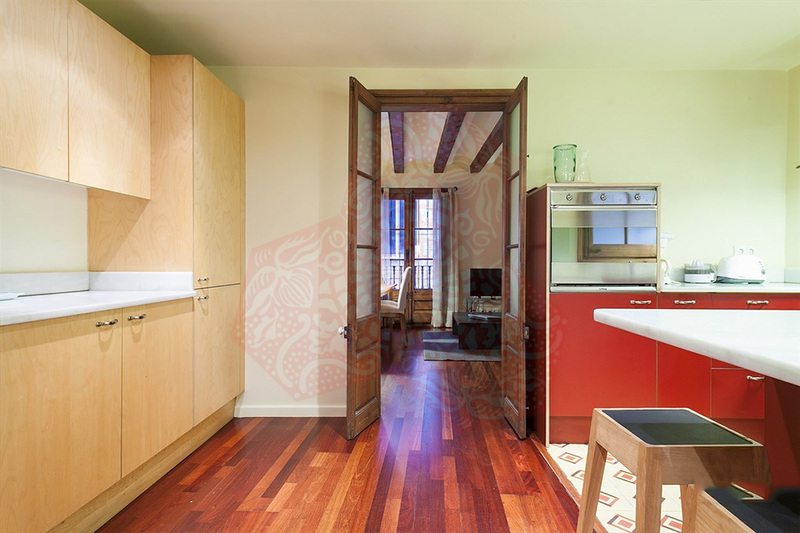 The beautiful kitchen is fully equipped with cooker, oven, fridge, pots and pans, toaster and all the comforts of home. 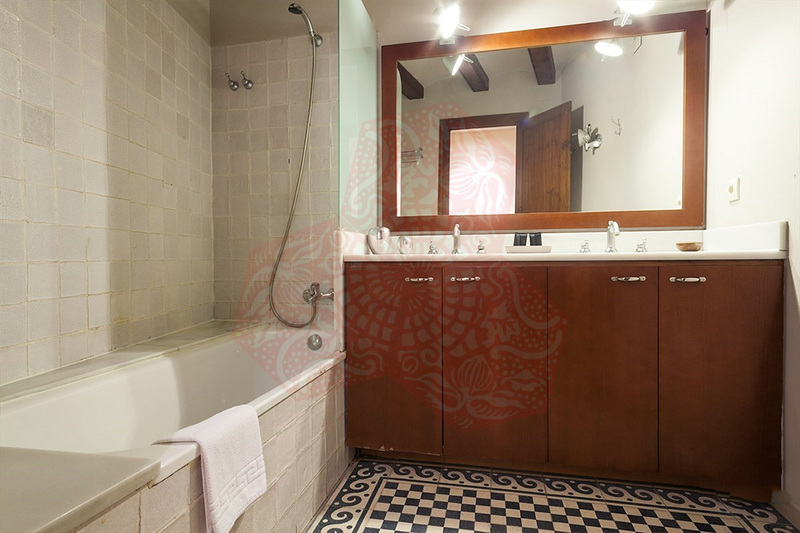 The spacious bathroom is clean and comfortable with shower, bath and a sink unit which have been newly installed. 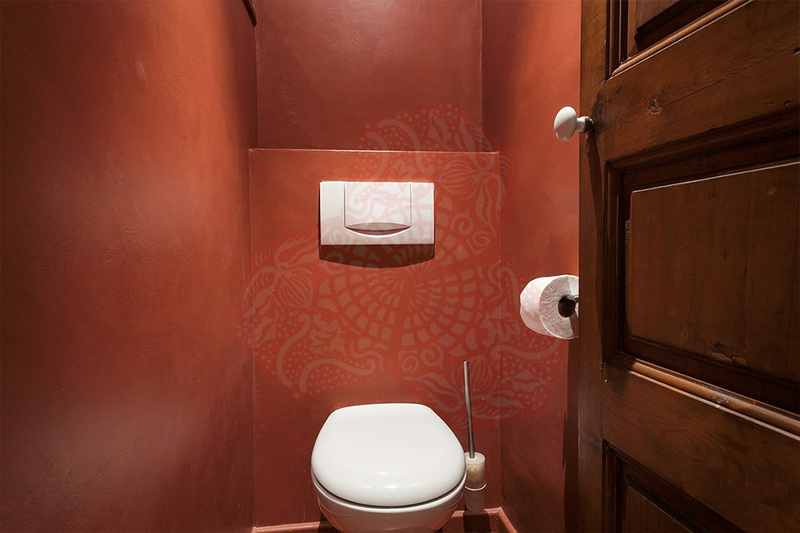 Please note that the actual toilet is separate to the bathroom. 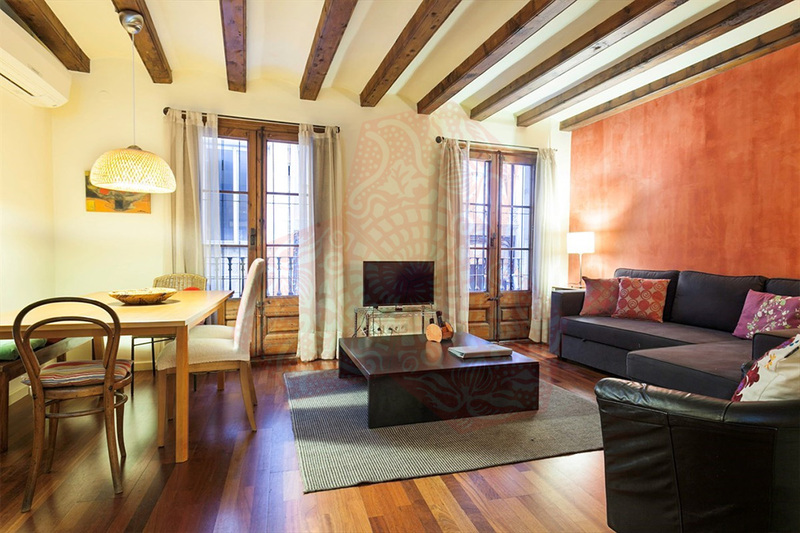 The whole apartment has been tastefully decorated with some rustic and antique furniture pieces. 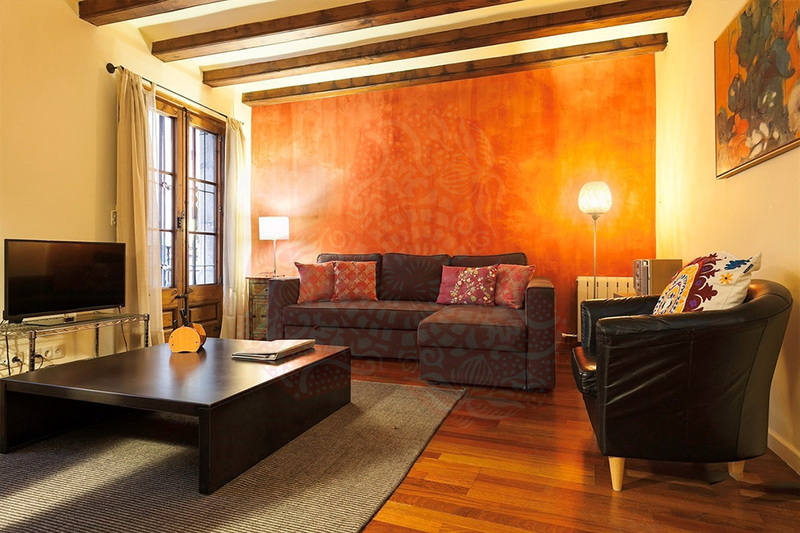 You will not regret choosing this exceptional apartment to enjoy your stay in medieval Barcelona!